...that some people seem to find so radically different from the concept? The top of the hood scoop isn't flush, and the wheels and brakes are obviously different. Otherwise, I don't see anything else on the concept that could've been reasonably expected to translate to the production model, yet didn't. 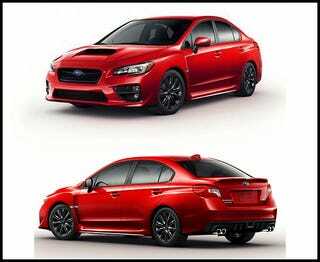 Here are a couple of WRX STI spy shot Photoshops that I found over on NASIOC.